The Israeli-Palestinian standoff has further escalated in the wake of deadly and violent protests in Gaza, dubbed the Great March of Return. The demonstrations, which have been held since March 30 at the border between Gaza and Israel, have so far reportedly claimed the lives of at least 115 Palestinians and injured some 13,300 others. While Israel accuses Hamas of using civilians as a human shild, the Palestinian officials blame the Israeli forces for killing civilians. 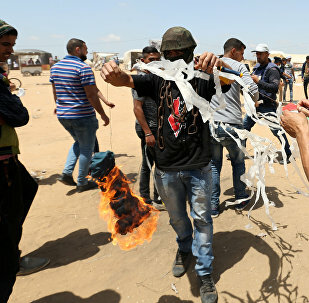 According to Israel, the Gazan practice of “agriculture terrorism,” using kites with burning objects attached to them in order to set Israeli fields and property on fire, has caused considerable damage to farmers. This latest exchange of fire between Israel and Hamas has been the largest since 2014. 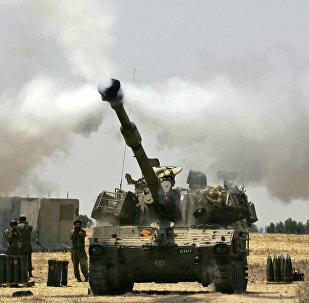 A full-scale IDF operation began on Tuesday after missiles were allegedly launched from the Gaza Strip. Israeli Defense Minister Avigdor Lieberman commented the issue, saying the strikes against Gaza are "only the beginning." 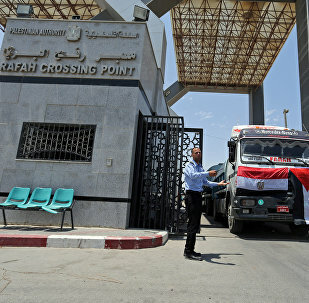 The Gaza Strip has been cut off from the outside world since 2007 via a concerted land, air and sea blockade by Egypt and Israel. 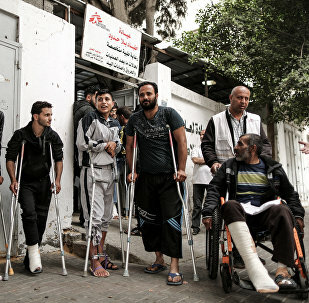 Over recent weeks, thousands of Palestinians have been injured in protests near the Israeli border, and some Palestinians are now attempting to escape the blockade in search of medical treatment. 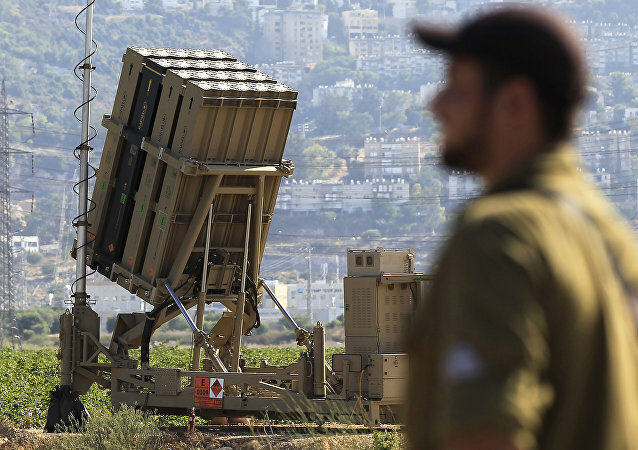 Alarms of a possible incoming rocket attack have sounded in southern Israel, near the Gaza Strip on Monday, the Israeli military said, as quoted by Reuters. An Israeli army spokesperson has stated that the IDF came under fire when they detained two Palestinians who had violated the border, finding knives and combustible materials. 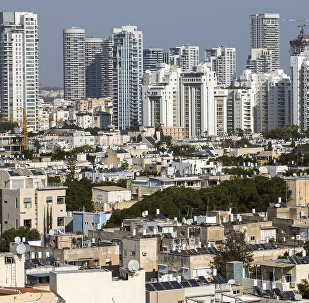 Israeli insurer Phoenix is now offering people insurance against damage to their homes’ contents from war or terrorist attacks amid mounting threats of a missile strike. Israeli Defense Forces statements have claims that the force found a drone last week in the Northern Negev desert designed to harm border patrols. The barrier is said to be one of a kind, as it is made up of three layers, including one below sea level, a layer of armored stone and a third layer in the form of a mound. GAZA (Sputnik) - The third Palestinian died on Sunday after an Israeli tank had fired at a military observation post in the south of Gaza, the official representative of the local Health Ministry Ashraf Kidra told Sputnik. Just hours after an airstrike on Palestinian armed units in the southern part of the Gaza Strip, the Israeli military struck what they said was a Hamas target near Khan Yunis in the southern Gaza Strip with tank fire Sunday morning. 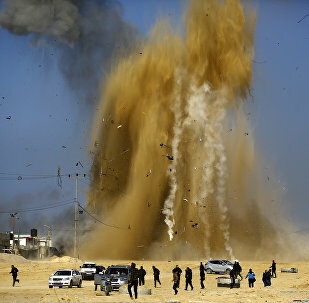 Israeli military jets carried out on Saturday an airstrike on Palestinian armed units in the southern part of the Gaza Strip, Izz ad-Din al-Qassam Brigades, a military wing of the Hamas Palestinian movement, said on Saturday. GAZA (Sputnik) - Over 100 Palestinians have been injured in ongoing clashes with Israeli armed forces on the Gaza Strip border, the official representative of the local Health Ministry, Ashraf Kedra, told Sputnik on Friday. In the most recent flare-up of the Hamas-Fatah rivalry, the intelligence service of the Fatah-controlled Palestinian Authority (PA) has notified its Israeli counterpart that it will cut security ties with Israel if Tel Aviv helps in any way to lift the maritime blockade of Gaza, which is governed by Hamas. More than 60 Palestinians were killed and hundreds others injured in violent clashes with Israeli security forces on May 14, when they protested the official opening of a new US Embassy in Jerusalem. 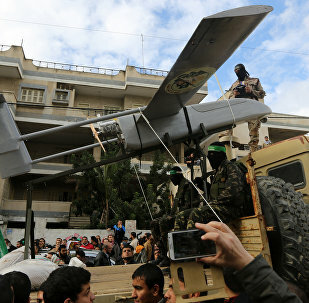 The Palestinian resistance movement Islamic Jihad has threatened to carry out bombing attacks on Tel Aviv if Israel continues its aggression against the Gaza Strip. 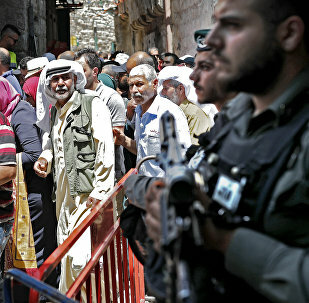 At the onset of the Islamic holy month of Ramadan, a new media report suggests that Israeli authorities may restrict access to Jerusalem for Muslims living in the Gaza Strip. Four ships with the Freedom Flotilla Coalition (FFC) are heading to the Gaza Strip in an effort to “break the siege” of the enclave, which the United Nations has long called illegal. Three of the ships departed Copenhagen, Denmark, on Monday and are expected to be joined by a fourth en route.